Dogeared jewelry has been a firm favorite with ASOS customers since it launched on-site in 2007. 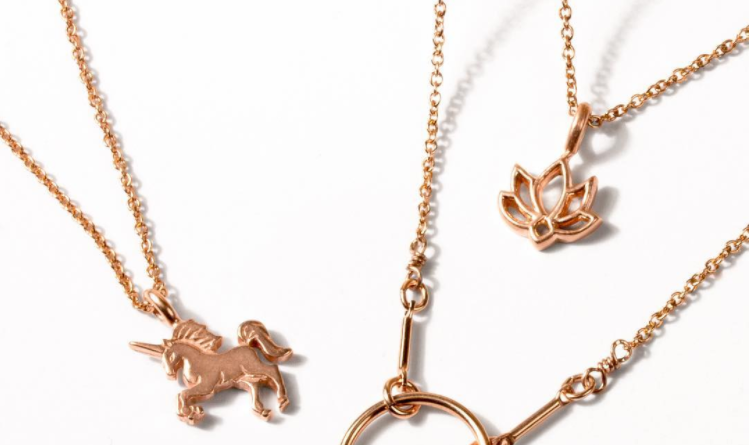 This season, ASOS is celebrating its 10th season of stocking the jewelry line and, to commemorate this milestone, ASOS have worked with Dogeared to recreate three iconic necklaces plated in 14kt rose gold. These include Original Karma, Life is Magical Unicorn and New Beginnings Happy Lotus, available exclusively at ASOS. The designs, made in California, will debut for $83.